Certified to building code standards, our fire & solid doors have varying finishes that provide a professional look while maintaining functionality for your home or business in Sydney. The framing selections for your fire & solid doors depend on whether you need single or double width and which way you would like the door to swing open. 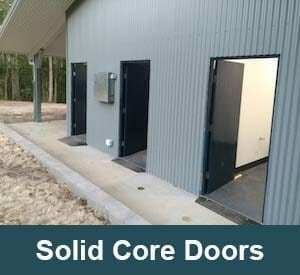 Perfect for warehouses, basement offices, schools, maintenance facilities, hospitals, residential units, and shopping centres, we are confident our fire & solid doors will protect your Sydney, New South Wales property in any setting. The standard finish for our fire & solid doors is ply sheet, but you may choose a different finish according to your needs, including MDF, Duracote and veneer. Metal sheets with thicknesses up to 1.5mm can also be used to increase durability and security. 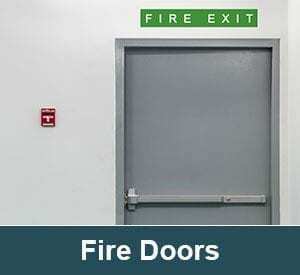 Our fire rated doors are access doors with a fire resistant vermiculite core, finished with timber sheets and external hardwood edge strips, making them the right choice for your Sydney business. Here at Spartan Doors, we provide the highest quality fire & solid doors to help increase security at your home, office, or warehouse in Sydney, Newcastle, Melbourne, and Brisbane, Australia.